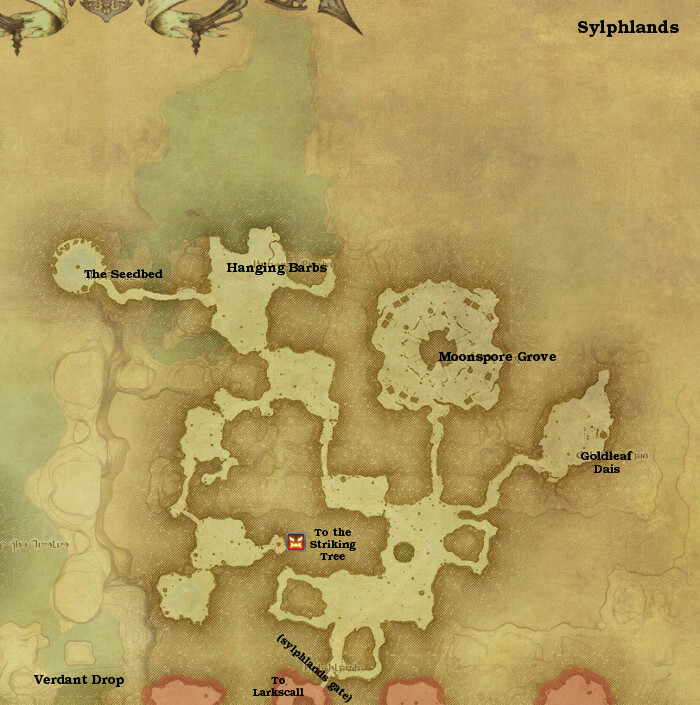 Sylphlands (シルフ領 [sylph ryou] or 'sylph district' in Japanese) is the area of the sylphs in Final Fantasy XIV. It's located in the east Shroud, north of Larkscall and north-east of Verdant Drop and Nine Ivies. It bears noting that Verdant Drop was an accessible area in version 1.x, but since version 2.0+ has been a water area, referring to either the waterfall or the lake to the south-west and west of Sylphlands, respectively. 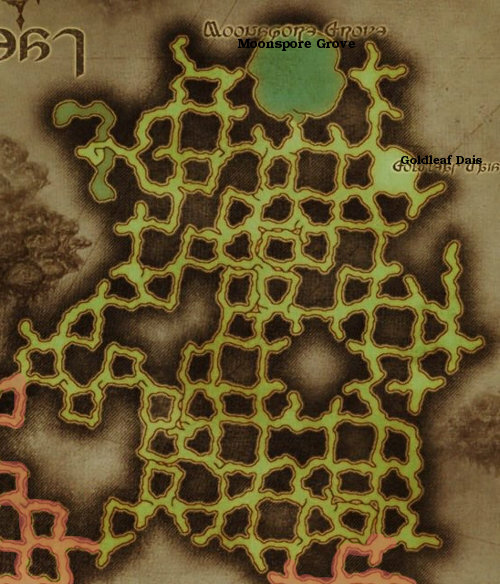 Note that Sylphlands wasn't named such in version 1.x, and was actually part of the greater Larkscall area. However, on this page it is treated as if it was a separate area even then due to its uniqueness. What it didn't have is the constant purple spore clouds it has in the present, these are released into the air by the touched Sylphs who have summoned Ramuh. This first happened in the years directly after the Calamity, before it happened the atmosphere of Sylphlands was very similar (and in fact, identical) to Larkscall. The Goldleaf Dais (金葉台 [kinyoudai] or 'gold leaf dais' in Japanese) is a place for gatherings and celebrations built by the sylph. However, after some of them summoned the primal Ramuh, those touched by his influence have taken over the Sylphlands, and they aren't interested in upkeep of buildings. The Dais has fallen into disrepair. Hanging Barbs (ハンギングバーブ [hanging barb] in Japanese) is a sylph housing area at the edge of an unnamed lake. The sylvan dwellings are built high up in the trees among branches and leaves. The Moonspore Grove (ムーンスポア・グローブ [moonspore grove] in Japanese) is a wide enclosed valley within which grow moonspores, a special type of fungi that clean the air. Due to its special properties it is where the sylph typically keep their regular podlings, although in the present day, this traditional option is closed to those sylphs who do not want to worship Ramuh. The Seedbed (ゆりかごの大樹 [yurikago no taiju] or 'great cradle tree' in Japanese) is a ravine in the middle of which grows a great white moonspore. This arbor of moonspores is where the sylphs take care of their young from podlings into young sylphs. 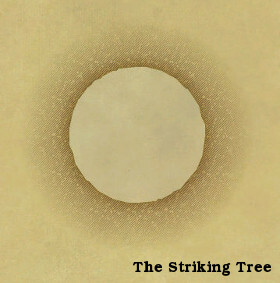 The Striking Tree is a high natural rock formation somewhere within the Black Shroud. It is where Ramuh descends when summoned, and it's accessed via a beastman aetheryte deep in the maze of the Sylphlands. No quests started in Sylphlands in version 1.x.